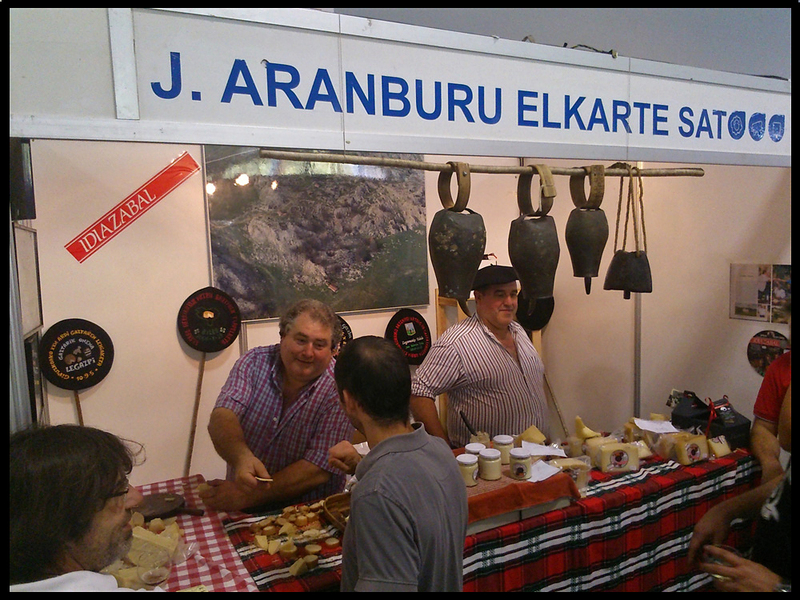 I went to the “Fira Sant Ermengol” in La Seu d’Urgell this past October 19th and 20th. It was a very good opportunity to taste cheese and other products, and I didn’t want to miss the chance to be there. 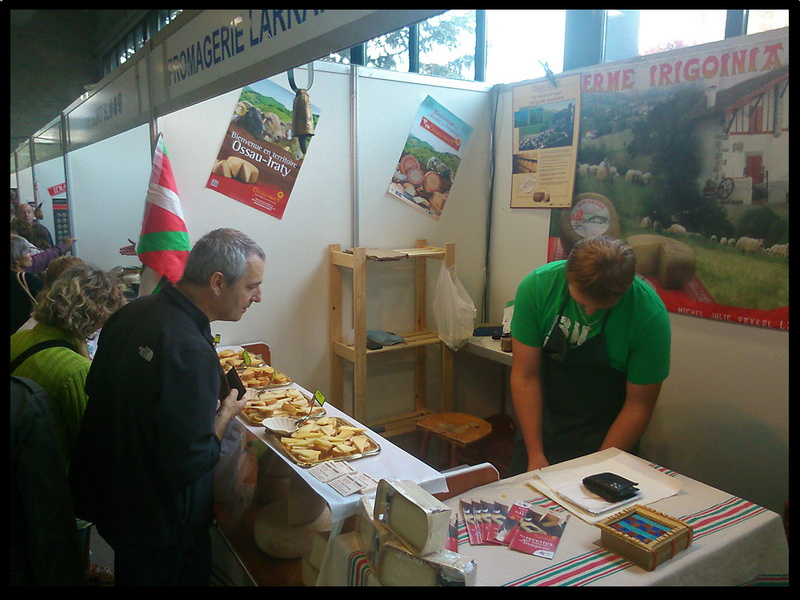 I thought it would be focused on local cheese (and there were a lot, indeed) but several products from different areas -Catalunya, Asturias, Idiazábal (Basque Country) and France- were also represented (41 cheese makers in all). Festival-goers had the chance to taste about 200 different cheeses while drinking a glass of wine or beer. It’s hard to imagine a better weekend! The cheese makers showcased their skills using goat’s, cow’s and sheep’s milks, both pasteurized and non pasteurized. The overall level of their products was very high, and as a result, I couldn’t resist a mini shopping spree. Among them, one special cheese deserves special mention: “Tupí”. This is an ancient shepherd’s recipe that almost disappeared completely and has now been recovered. It is made of cheese that undergoes a second fermentation. Some producers also add brandy or liquor. The result is a soft cheese with a pungent smell, and a strong taste, provoking strong sensations which almost defy description. Tupís that I previously tasted had an almost anesthetic effect and one’s palate was K.O.’d for several minutes afterward. 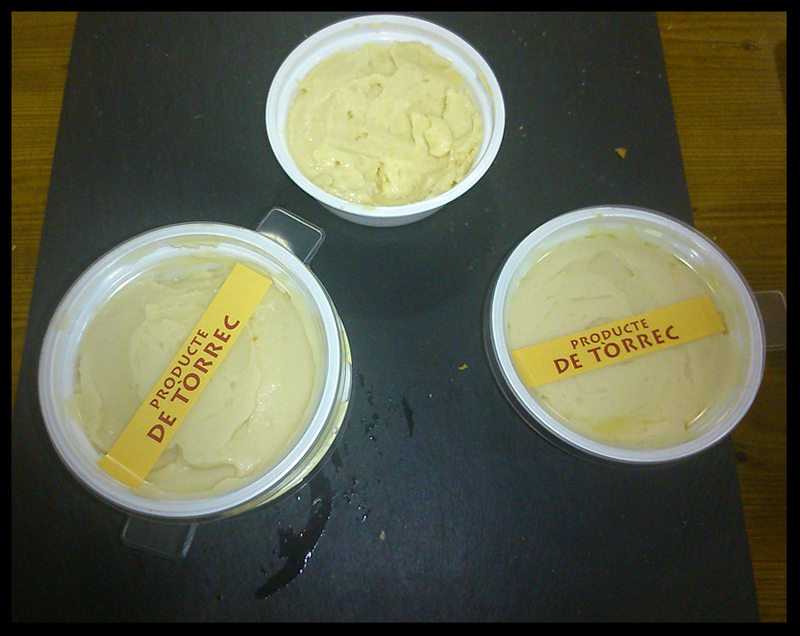 The one’s I tried this week end were mild, aromatic and pleasant. I was puzzled. How was possible to find such different Tupí? I asked several producers and a common answer came up: they do not use the left over stuff as a main product, but they take one of their standard cheeses. It is mixed wisely with some liquors (several of them use anise), and the final product becomes creamy and appetizing. It must be great with beer and cider! During my particular tasting, I was drinking an I.P.A. brewed by Companyia Cervesera del Montseny. Interesting mix, despite I would rather prefer a sweet wine (a very old PX, for example). 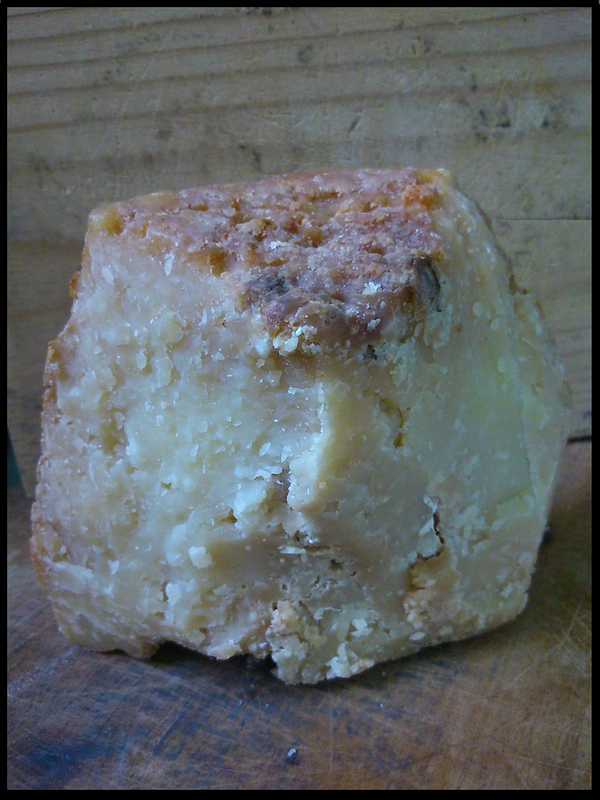 People from Idiazábal (Gipuzkoa) also produce a similar cheese with great success. 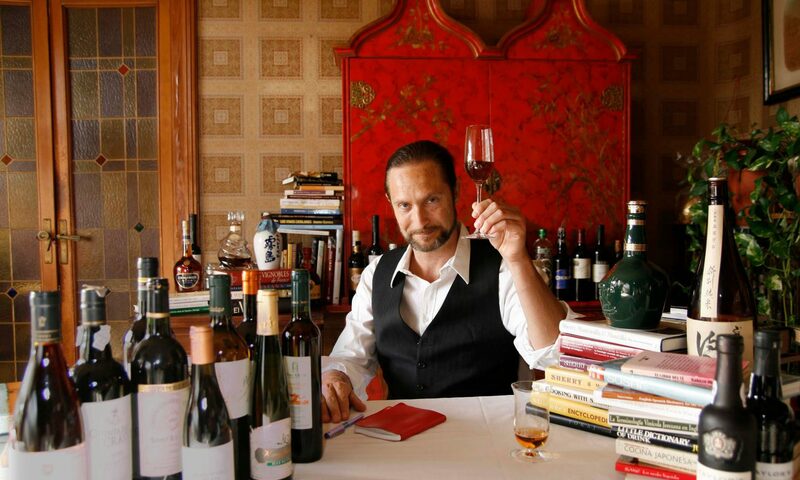 I tasted the one produced by J. Aranburu Elkarte. It was very, very good as is every one of their products, like their 16-month cured sheep’s cheese. They are located in an almost lunar landscape that it makes you feel as if you are in a film set for The Lord of the Rings. Another cheese that grabbed my attention was “el Set” made by Mas Marcè, a small and skillful producer situated in Siurana d’Empordà (Girona). They use the indigenous Ripollesa sheep, which is in danger of extinction. They use a vegetable-based curdling agent and pay painstaking attention to every detail of the process. 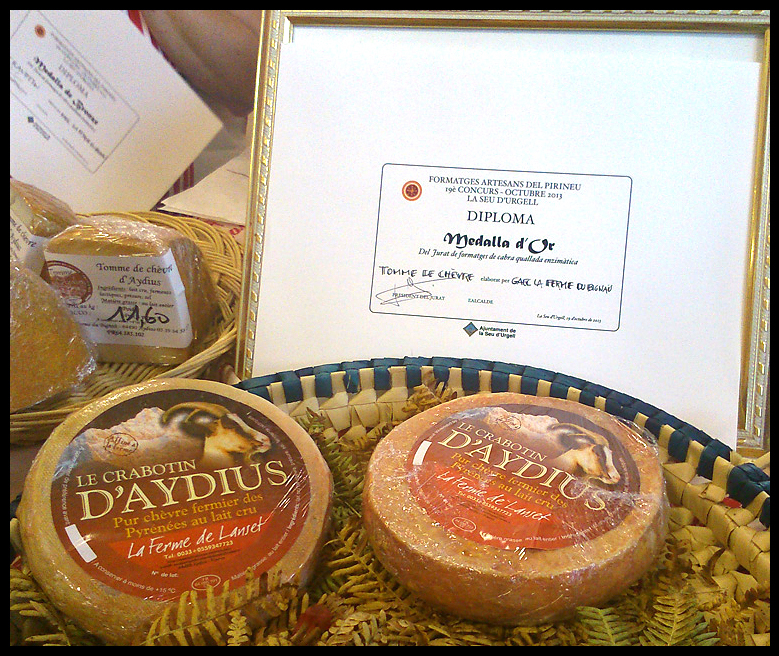 Mas El Lladré (Les Llosses) presented their cured cow’s cheese, a delicacy for cow’s cheese lovers. Fromagerie Larramendy, one of the French producers represented at the fair, was a good discovery. They have a great cured sheep’s cheese… (that I had to buy). Just by looking at the cheese one can see that it has to be good! Continuing in the French vein, Gaec La Ferm du Bignau, located in Aydius, received the Gold medal for its Tomme de Chèvre (another wonderful cheese that I took home with me). The list could continue several pages, but this is just a sample of what the fair had to offer. Additionally, some sausages that I tasted were really great, especially the ones produced by “Antiga Casa Jaume” at Bellver de Cerdanya. I hadn’t heard of them previously, but from now on I will certainly follow their future moves.